Format: Randy will demonstrate techniques as they apply to MMA, mental skills, nutrition and will have 30 minutes of Q&A to wrap up the session followed by autograph signing. Register: You may call the gym at 702.616.1022 or go to our web page sign-up form. We had a sell out crowd of 40 people from across the U.S., the UK and Canada in the gym this weekend for our 2nd Xtreme Camp. 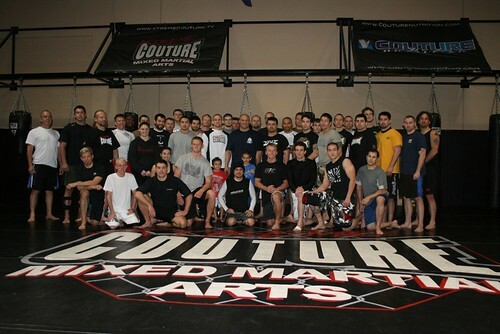 Randy, Jay Hieron, Mike Pyle and Martin Kampmann instructed the campers. They recieved 8 hours of training over three days and had several question and answer sessions with Randy and the guys. For photos of the camp check out our Flickr account. We’re hoping to do another camp in the Spring or early Summer. It depends on Randy’s film commitments. As soon as we have a date we’ll announce camp #3. We completed our very first Xtreme Camp this weekend. 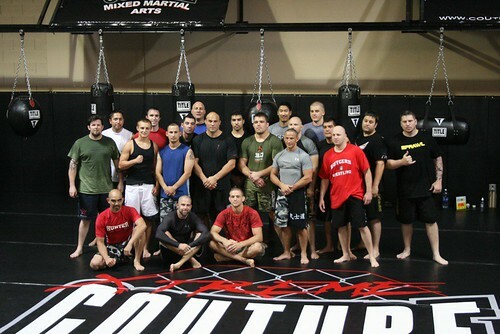 Attendees got to train with Randy, Mike Pyle and special guest Dean Lister. Everybody got in a ton of work during the 8 hours on the mats. After workouts Randy, Mike and Dean stayed until everyone had every conceivable question answered. One attendee said it was “a religious experience”. From what I understand everyone else had fun too. We’re hoping to do another camp soon, ideally in November. Sign up for our newsletter at xtremecouture.tv and you’ll be the first to know the official date. Enjoy some pictures from the weekend.